Over time, roofs can become damaged and lead to serious problems. If a roof suffers damage, it may lead to leaks that will destroy ceilings and the interior of the home. 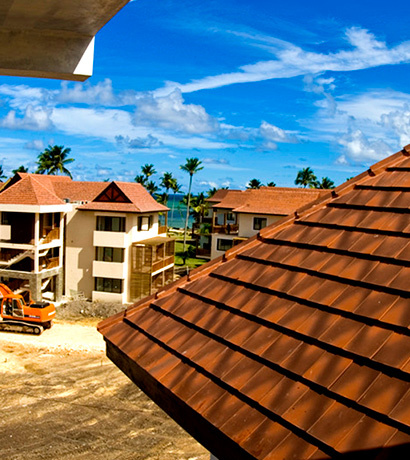 Our company has the required tools and know-how to reduce your roof’s likelihood to fail by making it more dependable than ever through our roof coating service. When we coat a roof, we apply a fluid membrane to the top of the structure. This coating is poured at once, making it seamless and adhered directly to the existing roof. Depending on the structure’s roof, we will decide the best coating to apply; some of the coating options include asphalt, acrylic, and silicone. Many existing roofs can be coated to increase their resistance to the elements. In addition to giving a roof added protection, our coating services can also cut down on heat during the summer, making it cheaper and more efficient to run an air conditioning system.